After getting lots of spam postings of late, I've turned off automatic approval of anonymous comments. Guest users can still post comments, but they will require approval before appearing. Guests can still post anonymous forum topics, but that may change in the future if the spam continues. You can, of course, avoid this by creating an account - which is really easy, and lets you post future forum topics or comments more easily, plus lets you track discussions and optionally get emailed when followups are posted, etc. As you may notice, the site design has been improved. Specifically the template for the Drupal-powered pages such as the blog, forums, and FAQ. They now fairly closely match the design for the product pages. There are still more tweaks to be done, but this is a great improvement. I'm back from Macworld... and that was quite the experience! Great to talk with lots of people, including luminaries such as Adam Engst. There were several more that I didn't get to speak with, though... maybe next time. So, I'm sure everyone knows all about the big announcements in the Stevenote, in particular the iPhone, so I won't reiterate. My impressions... it's a very sleek device, with a lot going for it, though not without flaws. I'm concerned about the usability of the touchscreen keyboard, though as someone who finds regular cellphone keyboard entry frustrating (including via T9), I think it'd be an improvement. As a developer, it's somewhat frustrating that Apple doesn't seem to want to open up development of iPhone widgets, though there are hints that they might have some authentication program for it. I suspect that that would only be available to the big players, though, limiting the potential of useful widgets. One thing I haven't seen mentioned elsewhere (though maybe I missed it), is a justification for that policy. The obvious is quality control of the iPhone image, but I think it's more technical than that. Based on the UI I've seen, it appears that the widget icons have dynamic content (e.g. the calendar widget shows the current date; the clock widget appears to show the current time, etc). If true, that would imply that all of the widgets are running all the time, at least with a simple timer to update the icon. That would also ensure faster launch time... though they didn't look all that speedy in the demos, so maybe not. If they are all running, that would certainly make it more important that none of them were using too many system resources. It's a theory, anyway. Will I buy an iPhone? Based on the current information, almost certainly: it will replace my iPod, cellphone, and maybe Palm (depending on how the software situation plays out), in a sleek and very usable package. I may wait for the second generation, though, to avoid any 1.0 issues, and simply because I have a contract with Verizon now. 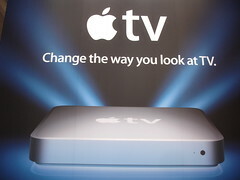 The TV was of course the other major new product announcement from Apple. It seems to me like a nice device, though I personally probably won't buy one, as I already have a Mac mini hooked up to my TV, which does pretty much everything that the TV offers. Somewhat lost amongst the other news was Apple's name, from "Apple Computer, Inc." to just "Apple Inc." (no "Computer" or comma). It really isn't a big deal, though. As John Gruber mentioned on Daring Fireball, Apple have called themselves just "Apple" almost everywhere for a quite a while now. Heck, I call my company just "Dejal", though the full name is "Dejal Systems, LLC". But I agree with his theory that some deal with Apple Corps. may be involved, too - I wasn't the only person to notice several Beatles references in the Stevenote. Anyway, an enjoyable few days, and you can be sure I'll be back to Macworld again next year! 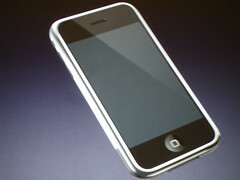 Check out my photo gallery for more Macworld photos. Although I won't be exhibiting, I will be attending Macworld in San Francisco next week. I'll probably have a laptop with me, so would be happy to discuss any Dejal products, help you with any problems you may be having with them, and perhaps even show you a sneak peek of the upcoming Time Out 2 upgrade. It gives me great pleasure to announce (again) that Simon version 2.2 is now in general release! It's been about a year since the previous version, 2.1.1, though version 2.2 has been in development and testing for much of that time, along with my various other projects. That's too long... I want version 2.3 to be much sooner than another year away! This version does add lots of good stuff, though, as mentioned in the press release. I'm most proud of the new Script service plug-in, but there are several other new service and notifier plug-ins, many written by Daniel Ellis. Plus the Simon Monitor now has a more modern window appearance, and is a Universal Binary. I've just released beta updates of Caboodle, BlogAssist and Macfilink. These releases are mainly part of rolling out the new Dejal logo, though they include some other tweaks too. See the release notes for details. I've now switched the dejal.com domain over to the new web server - so the site is now live, and the old server is ready to be retired. If you've visited dejal.com before, you'll notice a number of changes - for one thing, the blog is currently appearing on the home page, instead of the brief "Recent News" list and the feature graphic. I do want to bring the feature graphic back in due course, and perhaps reduce the news on the home page to just headlines (the full blog entries can be read on the Blog page)... but for now having the blog on the home page works for me. I hope you like the new page styles. As of this writing there are two distinct page styles, for Drupal-managed pages (like the blog and forums) and custom PHP-driven pages (like product pages), but that will be corrected soon. The Drupal-managed pages will be changed to appear more like the custom ones. Please let me know what you think of the changes in the comments. Please also tell me if you notice any broken links; always a risk with site migrations. I've just released Simon version 2.2c7, which hopefully will be the last general candidate release, and the last release of 2006. I currently plan to do the general release next week, after finishing migrating my custom PHP-driven web pages to the new host, launching my new logo, and releasing beta versions of Caboodle 1.1, BlogAssist 2.1, and Macfilink 1.4. I'll also continue work on Time Out 2. It'll be a busy week. That's a fair bit of travel for me! My next trip: back to San Francisco in January for Macworld! There have been a lot of promotions involving Mac software recently - MacZOT, MyDreamApp, MacHeist, MacAppADay, etc. Each with different approaches, of creating new apps, selling discounted apps, or giving them away. But the latest is MacSanta, celebrating the festive season with 20% discounts on participating Mac software. A great thing about this promotion is that it is open to everyone - all developers and all users. Dejal is participating in MacSanta, offering discounts of 20% or more on all products. What's more, I'm offering these discounts through the end of the year! Just visit the Dejal Store before the end of the year to take advantage of these great prices! I just released another general candidate version of Simon: 2.2c6. It updates Simon to use the new Dejal Forums instead of the contact feedback form in the Help menu and toolbar icons. The reason for this is I want to encourage everyone to use the forums as the avenue of support, so others can benefit from the questions and answers. I pride myself on being very responsive to customer support queries. I am the developer, but currently also provide all customer support - so you know you're getting answers from the guy who knows the software best. Using the forums won't change that philosophy: I monitor them frequently, and will answer queries there just as quickly as via the feedback form or email. But it is my hope that others will join in to provide other perspectives, perhaps tips on things they've discovered from their own use, that may not have occurred to me yet. And even if I still answer every question myself, others reading through the forums can probably solve their issue more quickly if they see someone else's question on the topic. Forums have lots of potential... but can be a bit slow to get off the ground. Give it a try! I created the forums on Saturday, and today the first spam forum posting appeared. At present I'm allowing anonymous posting and comments, though I expect to have to tighten that once more spambots find the site. So what's with the green curvy symbol in the page header? That is a draft rendition of the new Dejal logo. I am in the process of redesigning my logo, working with graphic designer Emily Pfeifer. I designed my old logo myself back around the year 2000, with an update in 2002. It has served me well, but I've come to feel that it is too complicated, and doesn't scale well. So we're now working on replacing it. We went through many iterations of design concepts, starting with my old logo, and removing the extraneous dots, adding more curvature, etc. For a while I was favoring a design somewhat like an italic D, but then I saw the circular one, and it just clicked. It still has the "D-ness", the simplicity, and the variation in thickness that I liked with earlier designs, but seemed better balanced and elegant. The color and texture of the new logo hasn't been determined yet; I just applied that quickly as an example, to help visualize it. It's an ongoing process. What do you think of the new logo? Let me know in the comments! Welcome to the Dejal blog! I've wanted to add a blog and forums for a while, so it's time to get started. I'm using the excellent Drupal content management system (CMS), which supports blogs, forums, comments, polls, a unified login system, and much more. This blog will cover a range of topics: Dejal product announcements, discussion of development work, general Mac topics, Cocoa programming, links to interesting blog posts etc, and more. Please let me know what you want to read about. As of this writing, the Dejal blog and forums are hosted at dejal.net on a different server than my main dejal.com website. Ultimately, the plan is to migrate all of the Dejal content to the new server, and integrate it all. If it works out as planned, that'll mean you'll be able to add comments on User Guide pages, among other improvements. Check out the Dejal forums. This will hopefully become the primary support avenue, building up a community of customers helping each other. I will of course continue to assist in the forums and via email. As always, feedback is most welcome!